Claire Westby was raised in Minnesota and now lives in Brooklyn, NY. 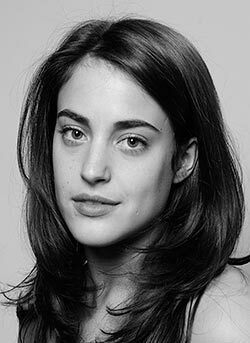 She holds a BFA in Dance from Tisch School of the Arts, NYU with a minor in anthropology. Claire also currently dances with Liz Gerring Dance Company, Gwen Welliver, Cherylyn Lavagnino Dance, Sarah Holmes, and RedCurrant Collective. Previously she has performed in works by Anne Zuerner, Gerald Casel, Charles Weidman, Trisha Brown, Benoit-Swan Pouffer, Gus Solomons Jr., Naomi Goldberg Haas and Benjamin Kimitch. She is a certified yoga instructor and occasionally returns to NYU Tisch to teach ballet class. Her own work has been presented at Gibney Dance, SADC Retro, Waxworks, and Big Screens Film Festival. This is Claire’s first project with John Jasperse.